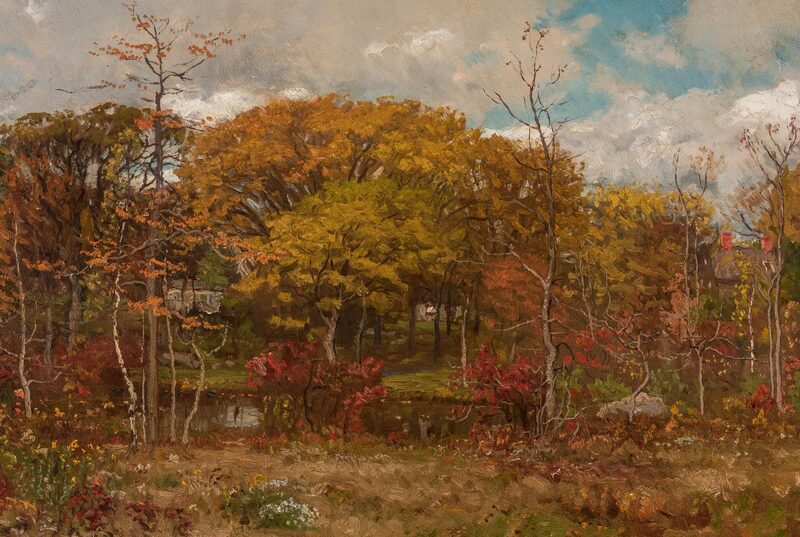 John Joseph Enneking (Massachusetts/New York/Maine/Ohio, 1841-1916) oil on canvas impressionistic landscape painting titled "Landscape with River" depicting a copse of trees with autumn foliage along a calm river. 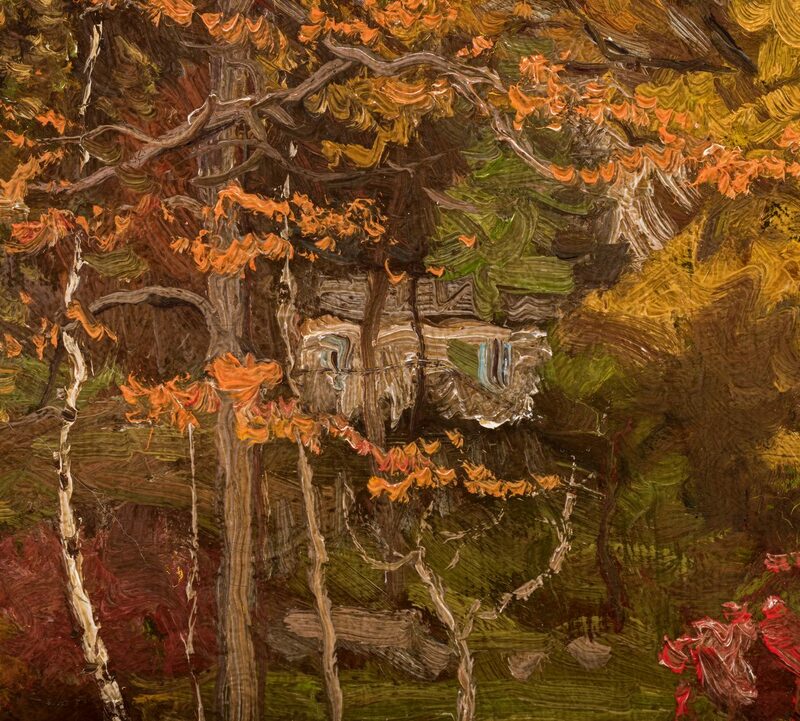 A house is on the hill at left center. Signed and dated "Enneking 87", lower right. 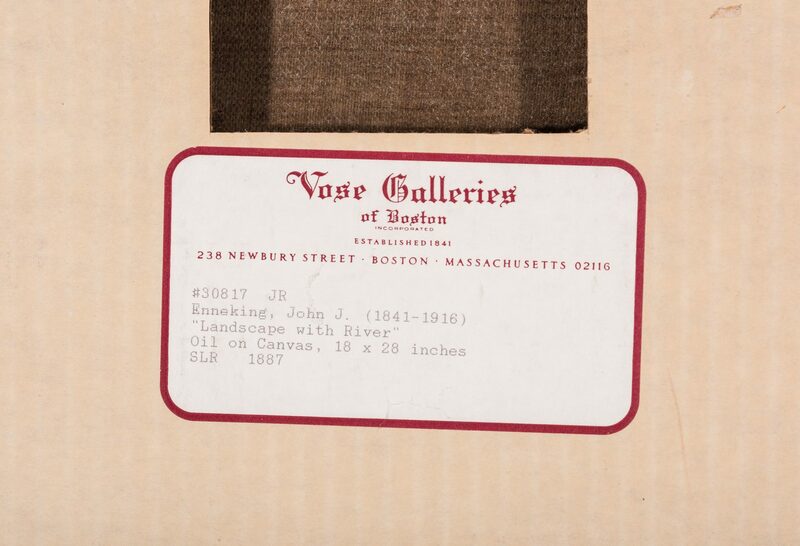 Label for Vose Galleries, Boston, with artist's name, title, and additional information, attached en verso. Housed in a gilt wood frame with carved foliate molding. 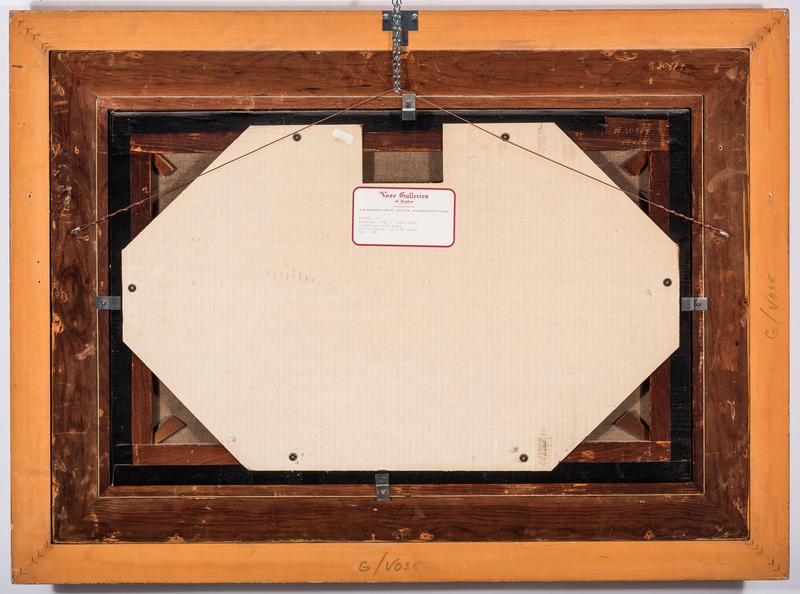 Sight – 17 1/2" H x 27 1/2" W. Framed – 28" H x 38" W. Provenance: the collection of Mr. and Mrs. H.R. Slaymaker, Nashville, Tennessee. 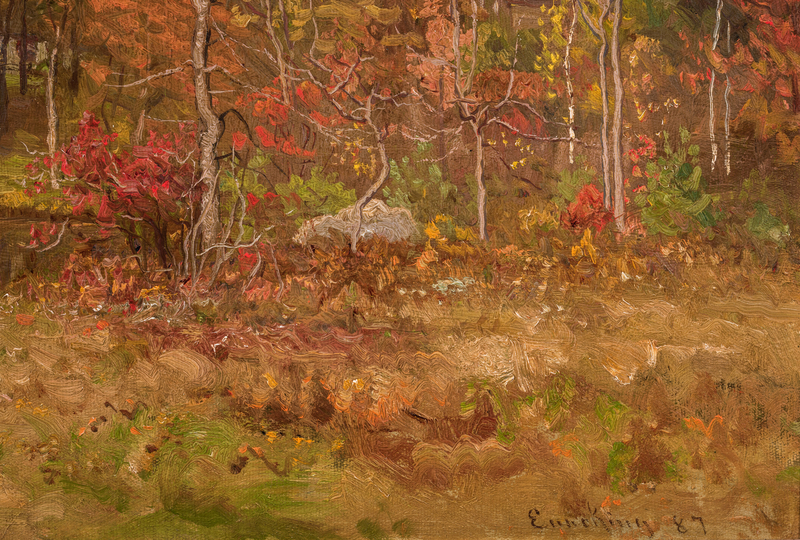 Biography: One of New England's prominent landscape artists of the late nineteenth century, Ohio-born John Joseph Enneking painted in a variety of styles including Hudson River School, Tonalism and Impressionism. 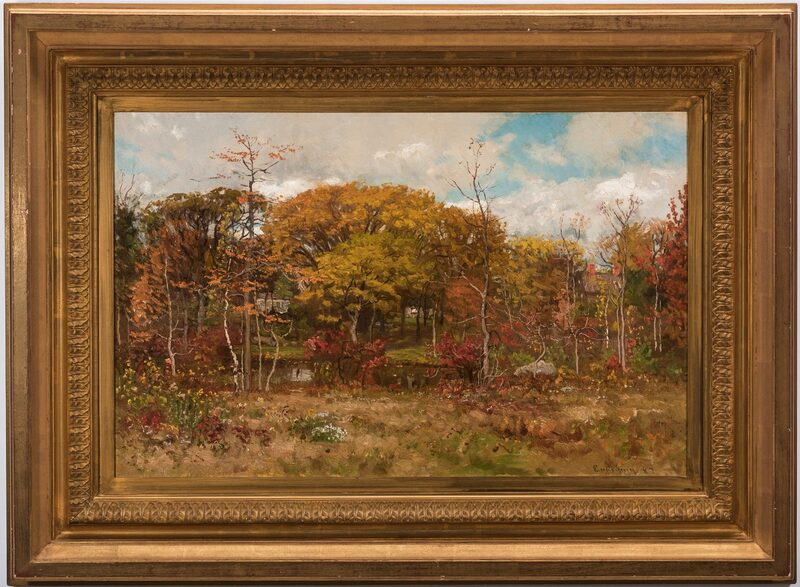 He was best known for Tonalist forest scenes at twilight. Orphaned at the age of 16, he moved to Cincinnati to live with an aunt and uncle. 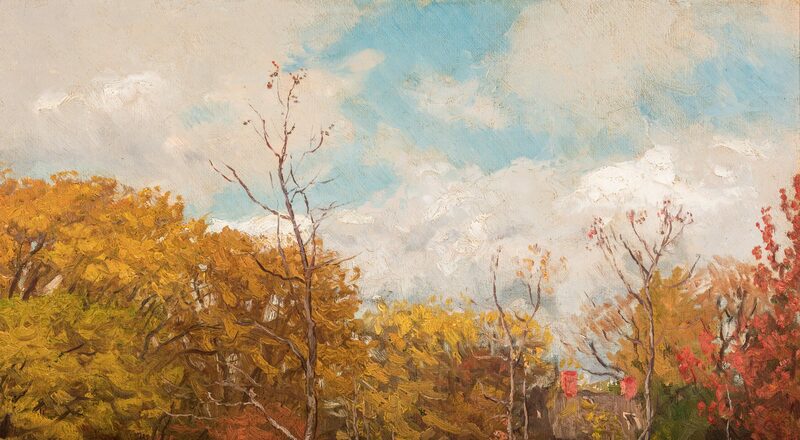 He took his first art classes at St. Mary's College. During the Civil War, he was injured while serving with the Union Army. 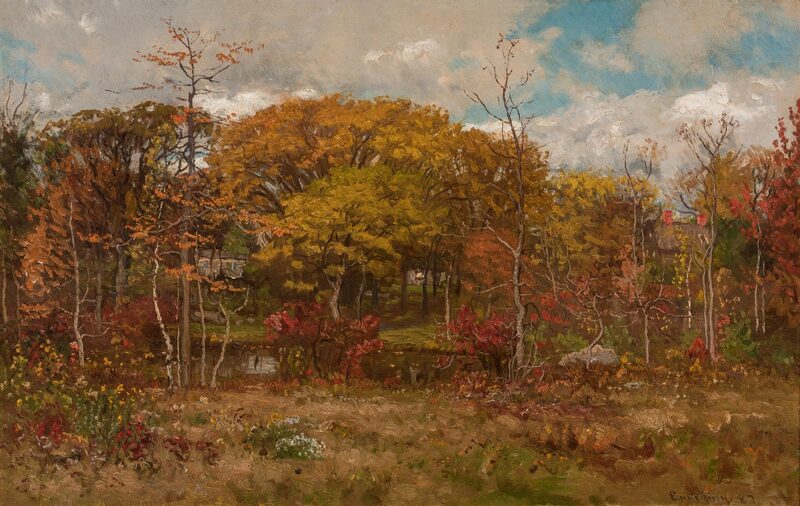 In 1868, he moved to Boston where he studied lithography and painting with Samuel Gerry and met Frederick Porter Vinton. 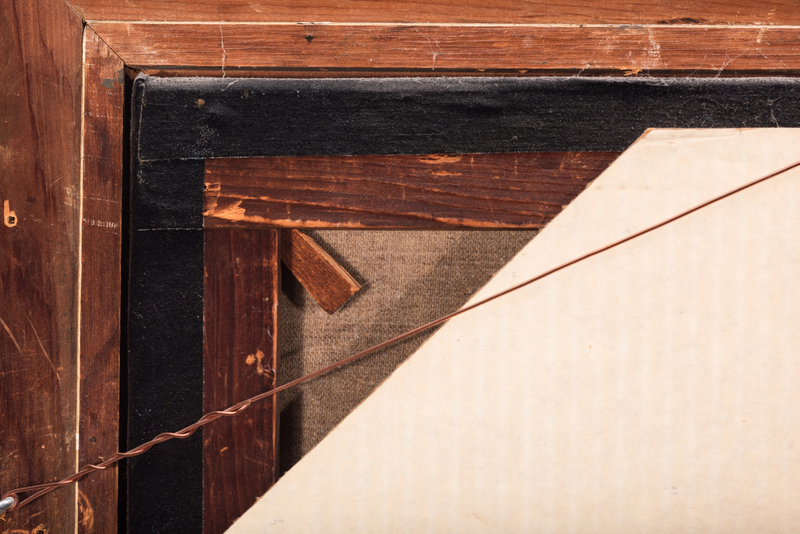 From Vinton, Enneking got a letter of introduction to French painter and teacher Leon Bonnat. This led to a four-year trip to Europe that strongly impacted hs career. 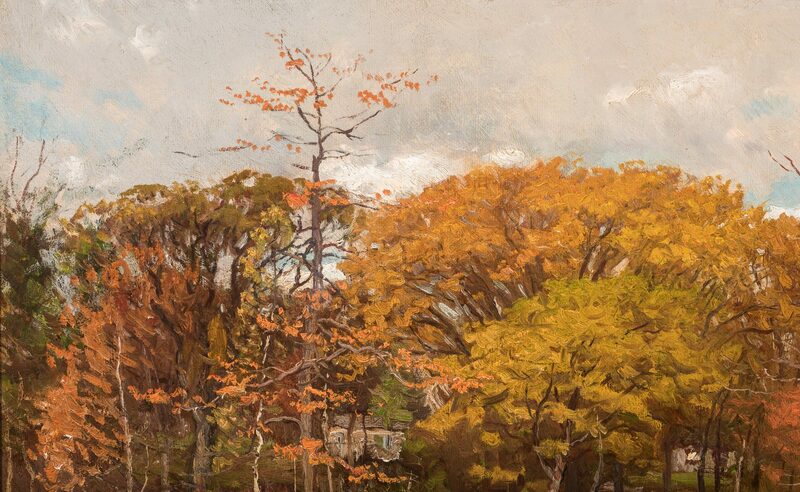 He studied landscape painting at the Munich Academy in Germany and figure painting under Bonnat in Paris. 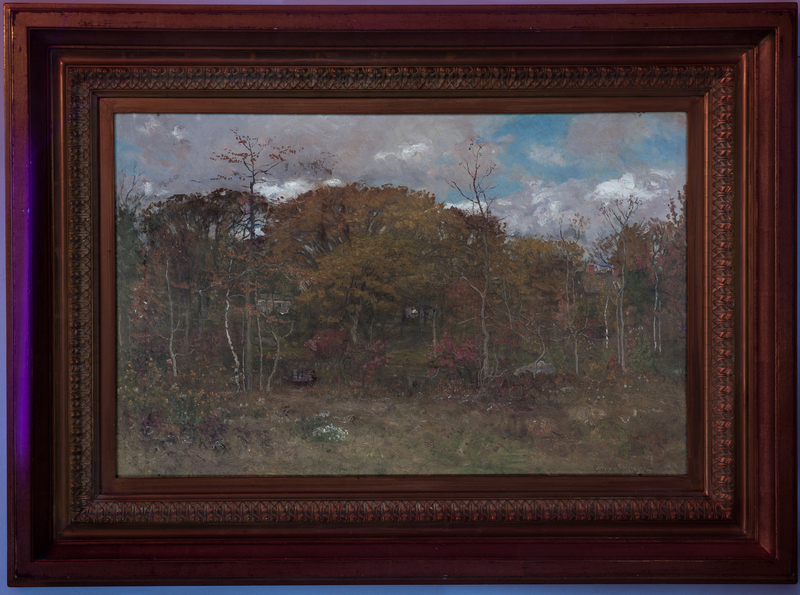 He also worked with the French Barbizon-School landscape painters, Charles Daubigny and Louis Boudin. 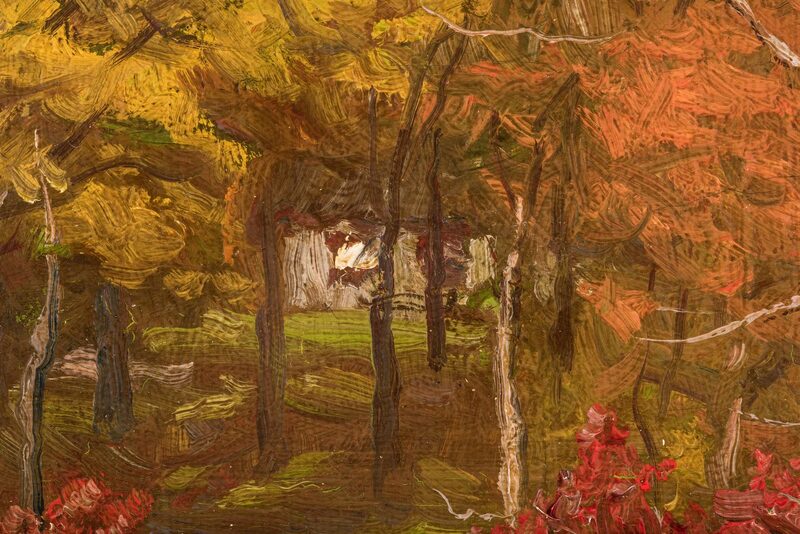 The subdued palette of the Barbizon painters, dominated by shades of brown and green, deeply influenced his painting as did their plein-air painting technique. 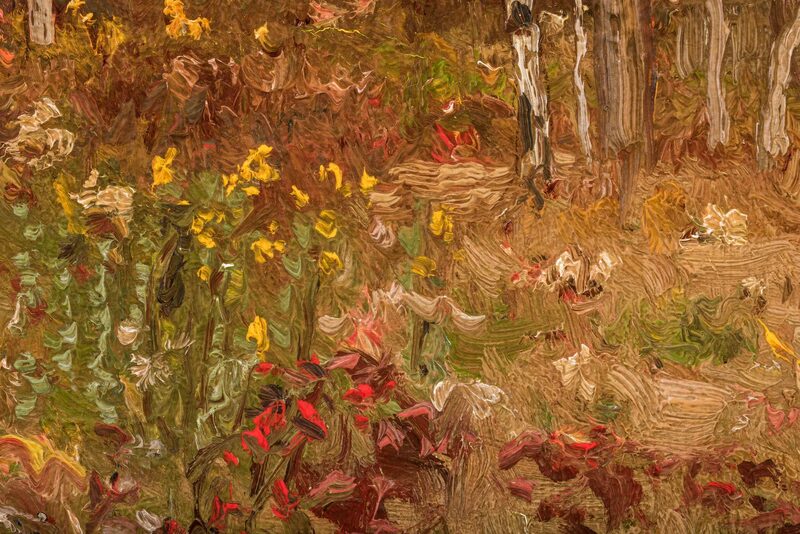 He was also influenced by Impressionists such as Monet and Pissarro. 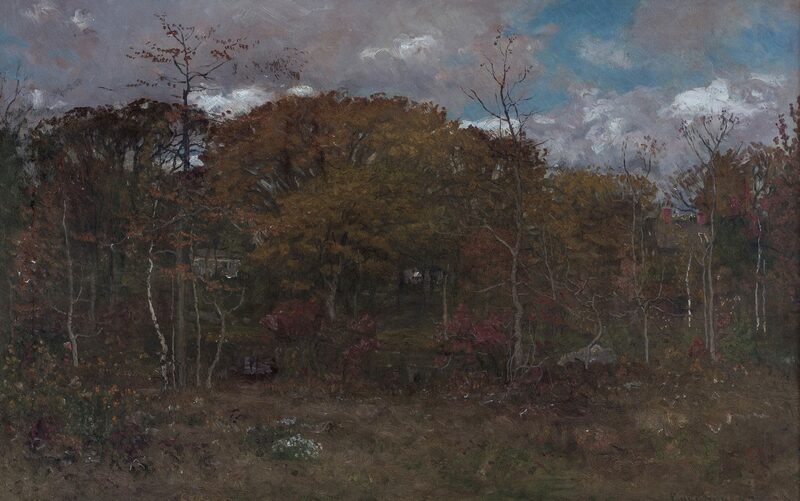 In 1876, Enneking returned to the Boston area, were he would spend much of his career associating with other Boston School painters such as Benson and Tarbell. 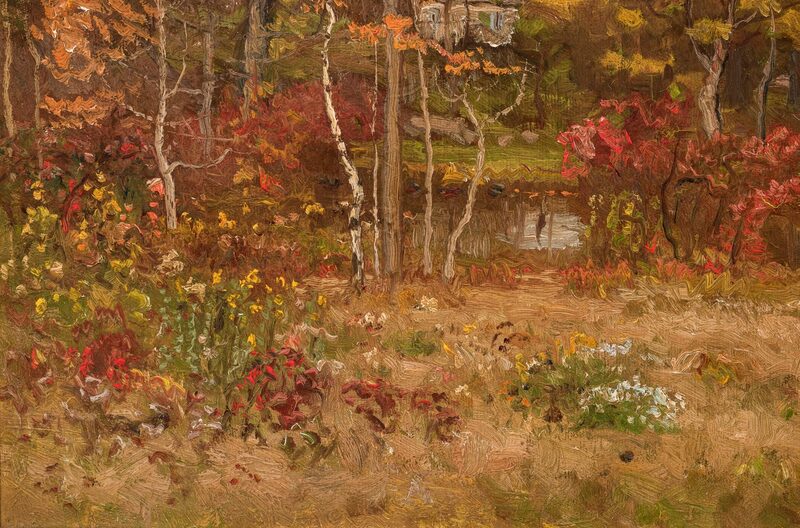 His love for the landscape and conservationist views also led to his election as a Park Commissioner in Boston. (source: AskArt) CONDITION: Overall good condition. Canvas has been relined.